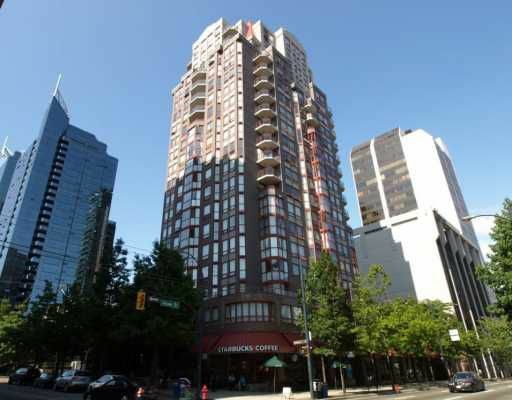 IMPERIAL TOWER is in the heart of Downtown & just a short walk to everything the neighborhood has to offer - trendy Yaletown boutiques, Davie Village cafes & restaurants on Robson Street! Perched on the NW corner of the 17th floor with views of English Bay, this suite has one of the better 2 bedroom/2 bath floor plans for city living. Large bedrooms & bright living area make the unit seem bigger than it is. A renovated kitchen, hardwood floors & insuite laundry add to its appeal. INCLUDES: 1 parking, 1 full size locker, gym, sauna & live-in caretaker. Come check out this pet/rental friendly suite.